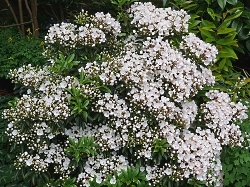 Showy clusters of white flowers appear in late spring on these dwarf shrubs. Useful as a landscape accent, informal hedge or border where its flowers can be enjoyed. Good in containers. Evergreen. Makes a nice, evergreen flowering hedge that will also work well in a container. 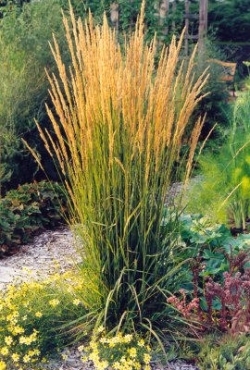 Does well in part shade so is perfect for a shady area of the landscape. Attracts butterflies. A North American Native. Japanese Kerria (also known as Japanese rose) is a tough-but-graceful, spring-flowering, deciduous shrub. It typically grows to 3-6’ tall and to 6-8’ wide. Single, rose-like, yellow flowers bloom profusely in spring. Kerria are sometimes commonly called Easter rose because the flowers typically bloom around Easter time. An attractive flowering shrub for shady areas of woodland gardens or shrub borders.